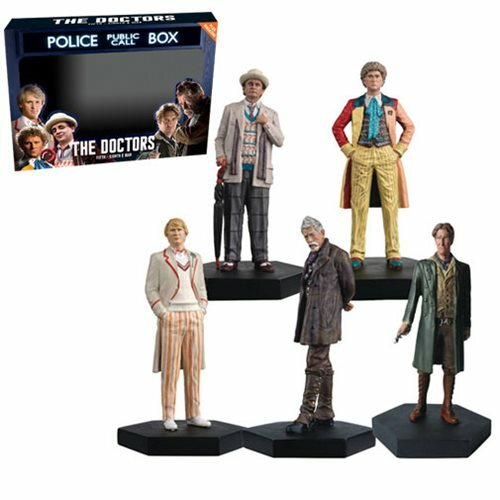 Collected together for the first time, the mid-era Doctors of the Doctor Who Figurine Collection! These varied incarnations - one mild-mannered, one mercurial, one moody, one a pacifist, and one a warrior - represent the many sides of the Doctor. Ages 14 and up.